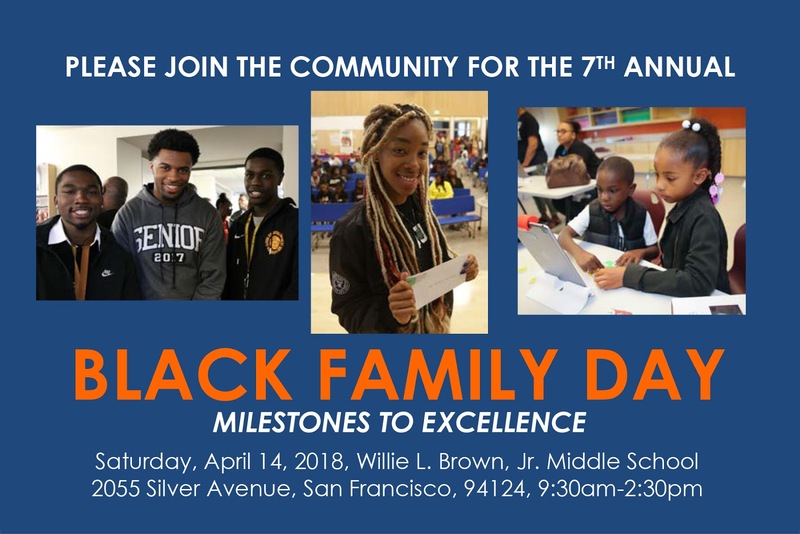 Please join My Brother and Sister’s Keeper San Francisco at the 7th Annual Black Family Day: Milestones to Excellence on Saturday, April 14, 2018. 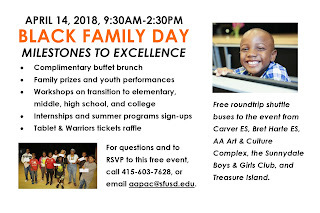 This spring Black Family Day will feature workshops on the transition from Pre – K to Kindergarten, 5th to 6th grade, 8th to 9th grade, and 12th grade to college and career. There will also be resources from community programs on site and sign-ups for internships and summer programs. This event is free and will be held at Willie L. Brown, Jr. Middle School at 2055 Silver Avenue, San Francisco, 94124 from 9:30 a.m. – 2:30 p.m. There will also be a raffle for tablets, gift cards, and Warriors tickets and a complimentary buffet brunch. Limited free shuttle transportation is available. 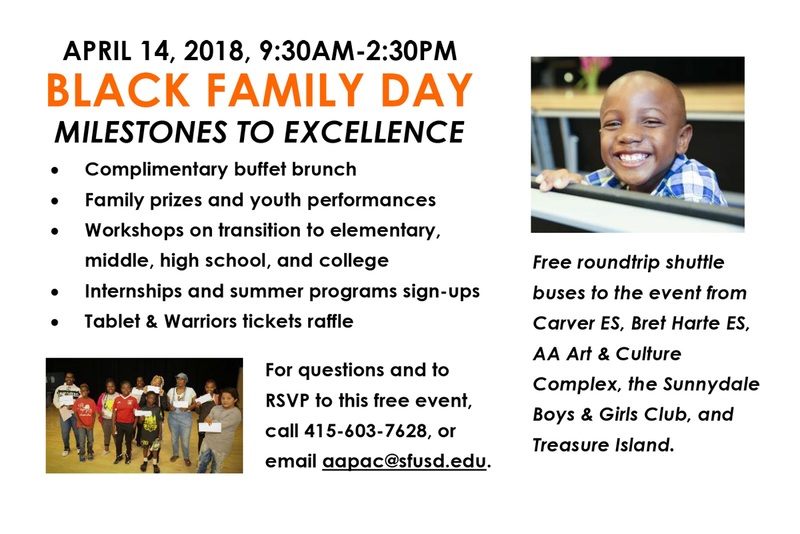 To register, you can call 415-603-7628 or email aapac@sfusd.edu. Come enjoy the fun and excitement!